Hello. And welcome back to book club. Last time, we established that my book club is practically a nightclub, but with silence and beds and onesies, and absolutely no tequila slammers. Hurraaaay. We also established that I am in love with Emma Morley and Dexter Mayhew, and that reading in general is the perfect kind of solace. Yup, we well and truly planted the seeds of our virtual book garden, in which we are all worms who get excited over words and pages and fictitious worlds. Thank you for being a part of it. Would you like a cup of tea? Crumpets? 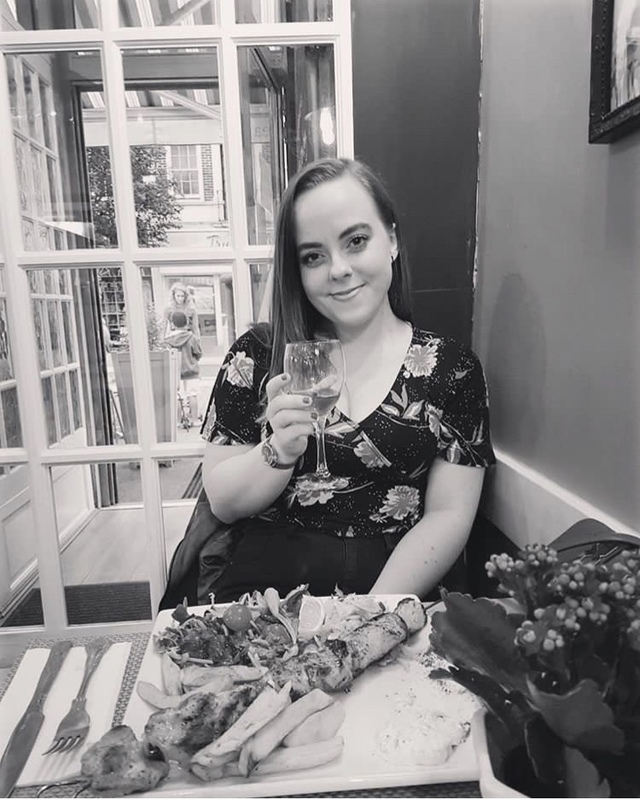 This time, I'd like to tell you about something a little different. We're rustling the bushes a little. (Not a euphemism, I promise.) The book I'm sharing with you today is different because it's about you; your life, your thoughts, your adventure. 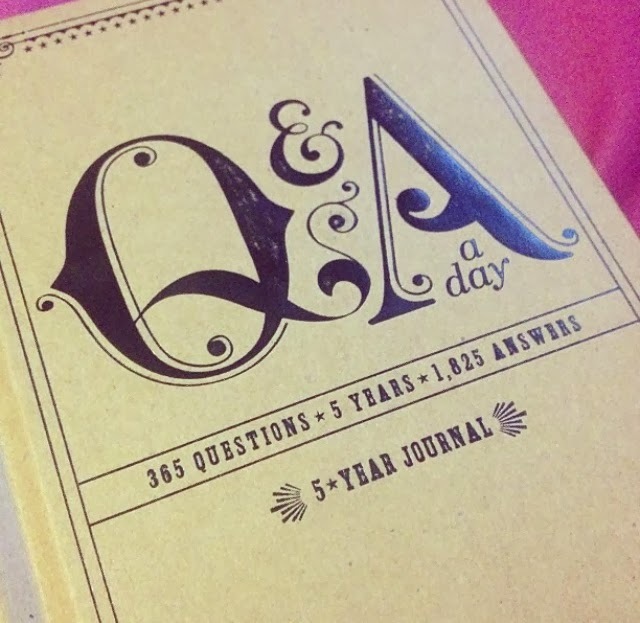 When I stumbled across the 'Q and A a day: 5-year journal', I immediately fell in love with the concept and have since bought it for myself and most of my social circle. If you read my most recent post about a certain pubescent cataclysm (aka my 14 year old self), you will know that I've always been a fan of documenting my life. We are, after all, continually evolving, perpetually fascinating human beings, creating our own individual history. We do things. We feel things. We have opinions. We have plans for our futures. All of the latter are subject to change, and more than often do change. And as embarrassing or confusing or bizarre I might find it to look back, I love doing it. I love being reminded of what once was and seeing how my feelings or opinions or plans evolved or disintegrated from that moment to now. I started my journal on 8th October 2013 and so far it's been an absolute pleasure, one that I would like to bestow on you. Yes, you. I have a 'Q and A a day' journal to give away. If you'd like to get your hands on it, all you need to do is retweet my tweet about this post, or simply just tweet me the word 'cataclysm'. I'll pick a worm at random from the virtual garden next Sunday and get it posted. I love the word 'cataclysm' at the moment, it's the word of the week. I'll get over it in a minute and stop banging on about it, I promise.